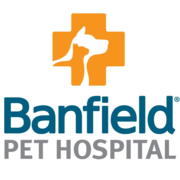 A personal message from Banfield Pet Hospital - OPENING SOON! Rate and review Banfield Pet Hospital - OPENING SOON! in San Antonio, TX, United States! Share your experiences at Banfield Pet Hospital - OPENING SOON! with your friends or discover more Veterinarians in San Antonio, TX, United States.